President Trump's decision to withdraw from the 2015 Paris international climate treaty hasn't shaken automakers' resolve to continue developing cleaner, more fuel-efficient vehicles. 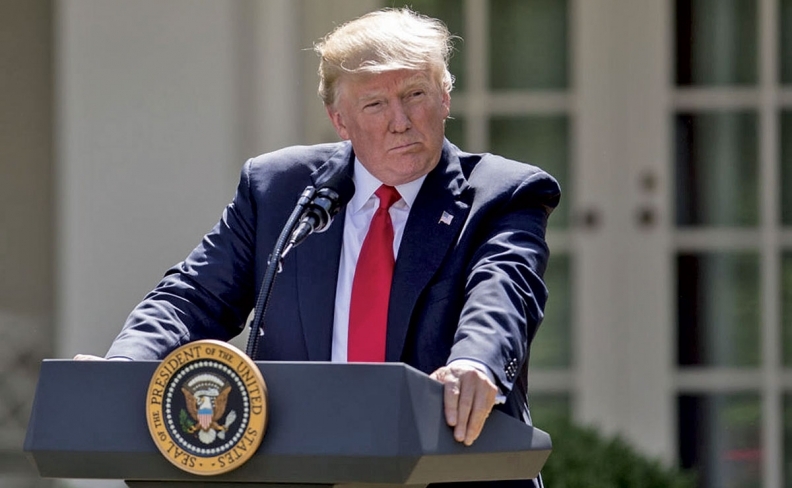 General Motors, Ford Motor and industry groups didn't condemn Trump's decision last week, but told Automotive News that their sustainability plans remain unchanged. "GM will not waver from our commitment to the environment, and our position on climate change has not changed," the company said in a statement. "International agreements aside, we remain committed to creating a better environment." Ford affirmed its position that "climate change is real," saying it remains "deeply committed to reducing greenhouse gas emissions in our vehicles and our facilities." Most outspoken was Tesla CEO Elon Musk, who wrote in a Twitter message that Trump's decision would prompt him to resign from two presidential advisory panels on which he serves. "Climate change is real," wrote Musk, who has touted his electric-vehicle and solar-energy businesses as direct responses to the dangers of climate change. "Leaving Paris is not good for America or the world." Prior to Trump's announcement, Musk said he had done all he could to persuade Trump on the matter. GM CEO Mary Barra, a member of the White House's top business advisory council along with Musk, has no plans to quit that group. "Mary Barra's participation on the President's Strategy and Policy Forum provides GM a seat at an important table to contribute to a constructive dialogue about key policy issues," the company said. "The Forum continues to provide an opportunity to work with the administration and other corporate leaders on policies that support a strong and competitive economy and automotive industry." Trump's announcement came the same day that GM released its annual sustainability report in which it outlined its environmental accomplishments and initiatives. In it, Barra said, "Environmental stewardship and sustainability are part of our business model and core to our operations." The 2015 Paris climate agreements encompassed nearly all the world's nations in a commitment to reduce carbon emissions and accelerate the shift to renewable energy resources. Trump said he wanted to negotiate a better deal for the U.S. But several world leaders said the deal is not open for renegotiation. Trump cited the negative impact of the treaty on the U.S. auto industry, among many others. But U.S. business leaders in many sectors, including energy, technology and manufacturing, have embraced the treaty. Auto industry groups last week underscored their commitment to the goals of the treaty, saying they were in line with consumer demand. "Our job is to build and sell more fuel-efficient vehicles that produce less carbon and save consumers money at the pump, and when consumers go car-shopping today, they are seeing improved energy efficiency across all models," the Alliance of Automobile Manufacturers said in a statement. "We will continue providing our customers with these vehicles, here in the U.S. and around the world." The Auto Alliance represents 12 automakers that make up 70 percent of all car and light-truck sales in the U.S., including the Detroit automakers, Toyota, BMW and Volkswagen. John Bozzella, CEO of the Association of Global Automakers, which represents 12 auto companies and five suppliers, said its members "remain committed to reducing greenhouse gas emissions and to producing fuel-efficient vehicles in every segment. Today's decision doesn't change that."